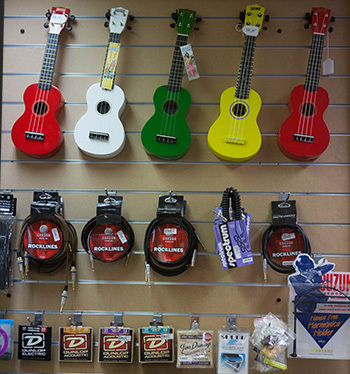 Deniliquin Newsagency is now stocking a wide range of musical instruments including acoustic and electric guitars, bass guitars, drum kits as well as accessories including strings, picks, capos, effects pedals and a whole lot more. If we don’t have it in stock we can get it in. Drop in and see Mark for all your music needs. • Gypsy Rose Guitar & Essex AGA1065 10 Watt Amplifier. Pack includes Black carry bag + BONUS Valencia Classical Guitar Instructional DVD featuring the “Rock House Method” with FREE 27/7 Web Membership. Full colour display box. • Gypsy Rose Bass & Essex ABA1565 15 Watt Amplifier. Packs include Guitar & SX Heavy Duty Padded Gig Bag. 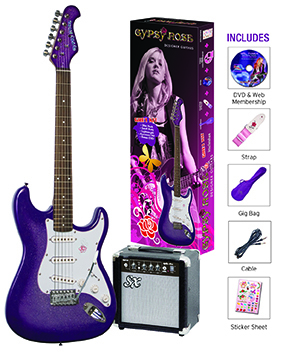 11 Packs to choose from including 3/4 and full size guitars with a range of finishes. See Mark at the Deni Newsagency for more information.